Coutura Solar Perpetual Chronograph. A stylish timepiece, the stunning look of this watch is matched only by its precision performance. 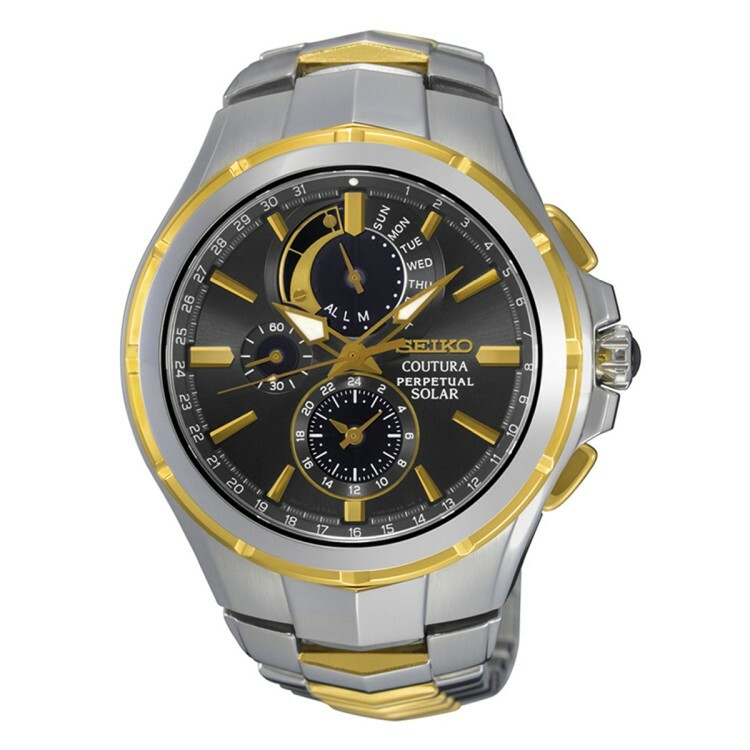 Designed with a stainless steel case and bracelet with gold accents. No battery change required and powered by light energy, using solar cells with high performance electricity generation. Energy-efficient Solar movement with 6 month power reserve once fully charged.